The Bobbin Workstation conveniently organizes more than just your bobbins. 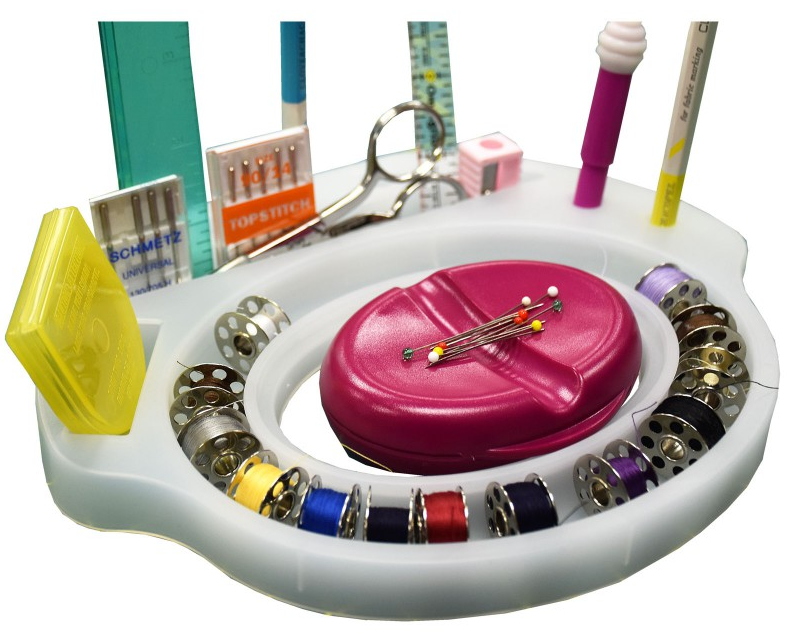 It can hold your pens, markers, pencils, marking tools, seam rippers, machine needle packs, pincushions and tape measures all in one handy place. Customize your Bobbin Workstation with your own sewing or quilting essentials and keep your work area neatly organized. *Does not include notions items. Workstation only.